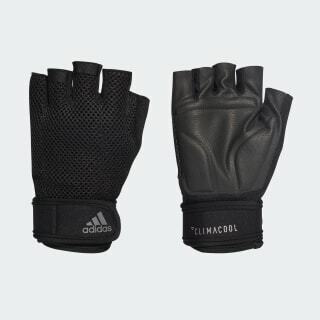 Breathable training gloves made to handle heat and moisture. Test your limits with these ventilated training gloves. Made to manage heat and moisture, they're built with leather-like fabric that lets you grip the bar with confidence. The wrist strap adjusts for a fine-tuned fit.